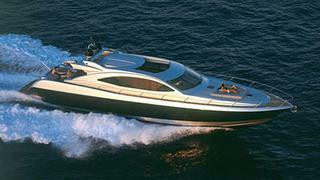 News just in from Yachtzoo of a further $550,000 price drop on the 26.5m motor yacht Zakouska. A Warren S87 Express, she was built in 2006 and has low hours on her rebuilt main engines. Accommodation is for eight guests in a master suite, VIP stateroom and one double and a twin cabin, while twin 1300hp MAN engines give her a cruising speed of 27 knots and maximum speed of 32 knots. Lying in the Bahamas, Zakouska is down from $3.5 million to $2.95 million.